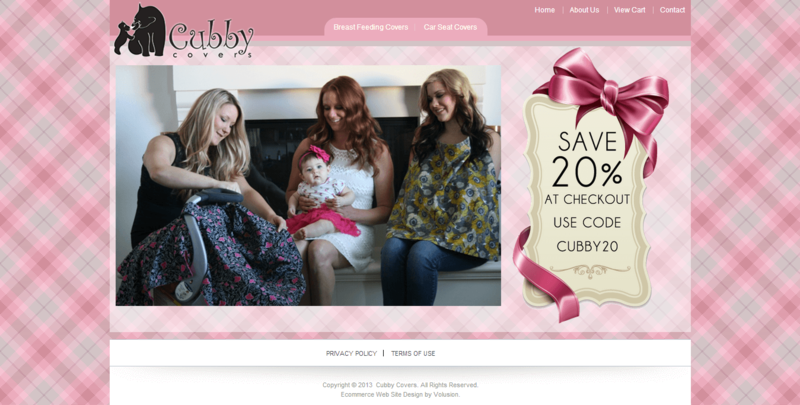 Cubby Covers offers handmade covers for breastfeeding as well as car seat covers to protect your child from the sun. 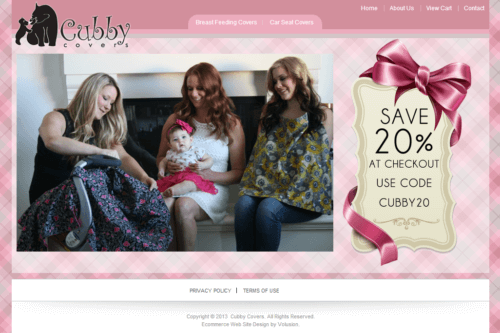 Cubby Covers was searching for a local web designer to help them launch their Volusion store with a custom design. Volusion Custom Web Designer At Your Service.